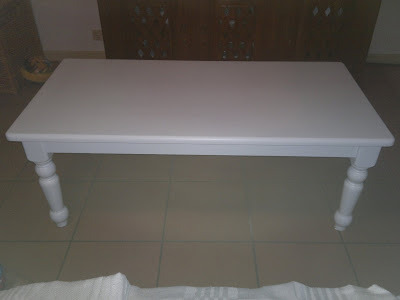 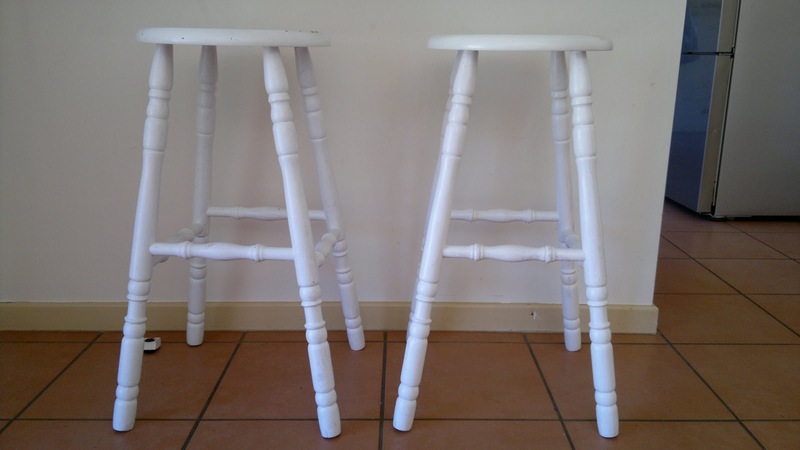 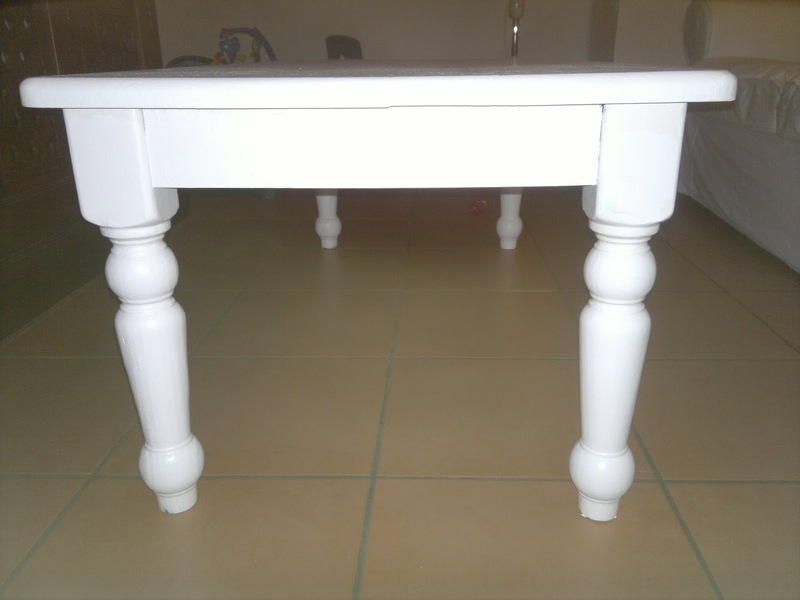 Our Coffee Table & Kitchen Stools, I forgot to take a before picture I found them when I was wandering through a second hand store they were timber colour so I painted them white to match the rest of the furniture in the house. 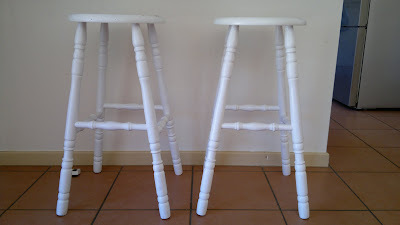 I painted them with wash and wear paint so when the kids are eating or doing their craft i can just wipe it off and be ready for the next time. I am working on other project at the moment, including some lovely children's desks for my boys bedrooms. 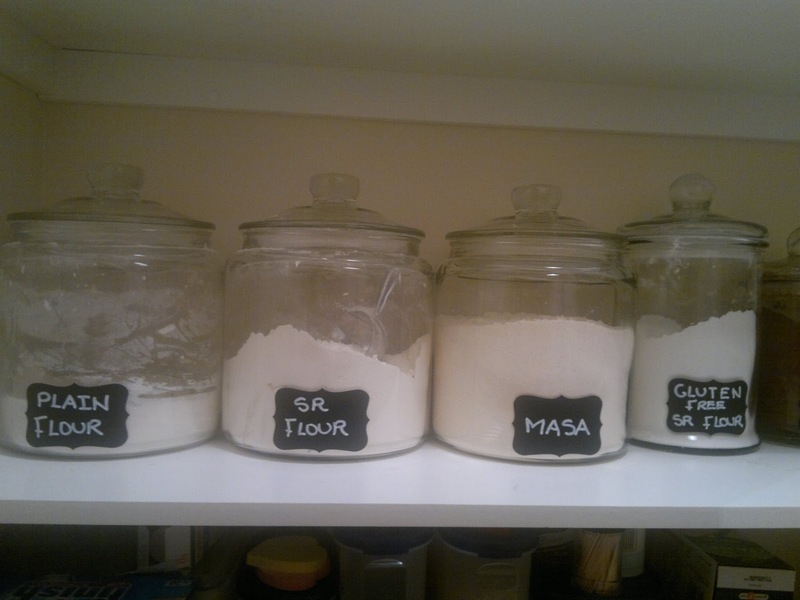 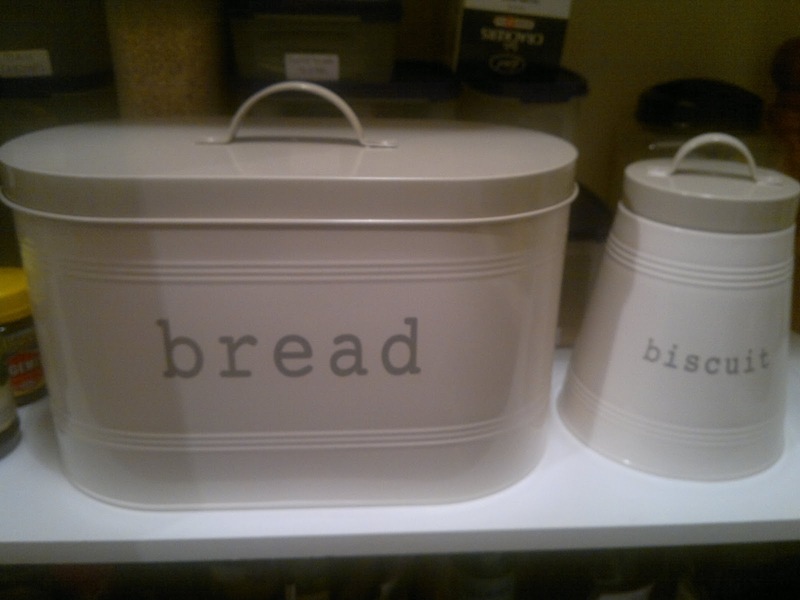 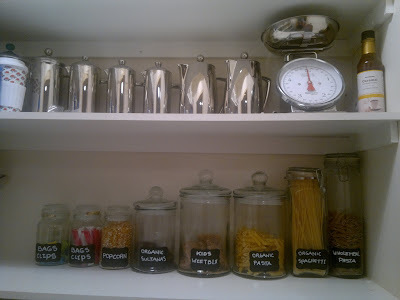 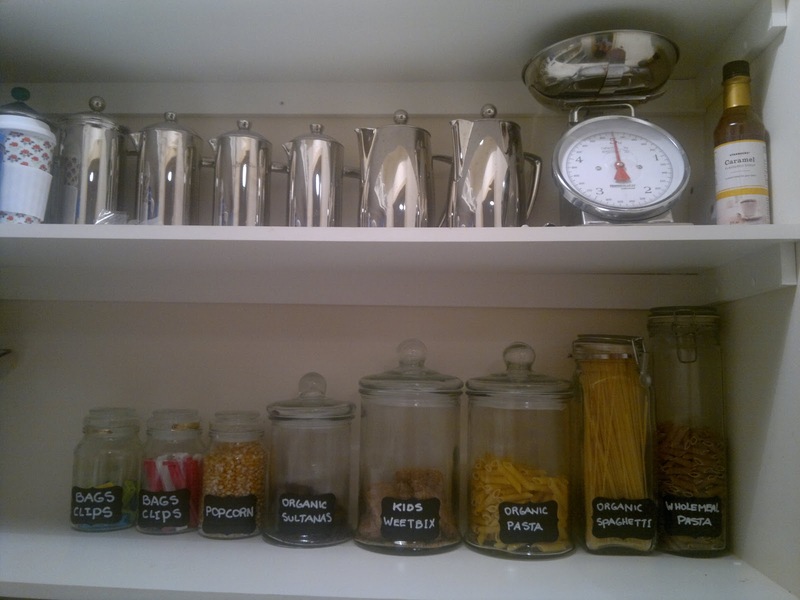 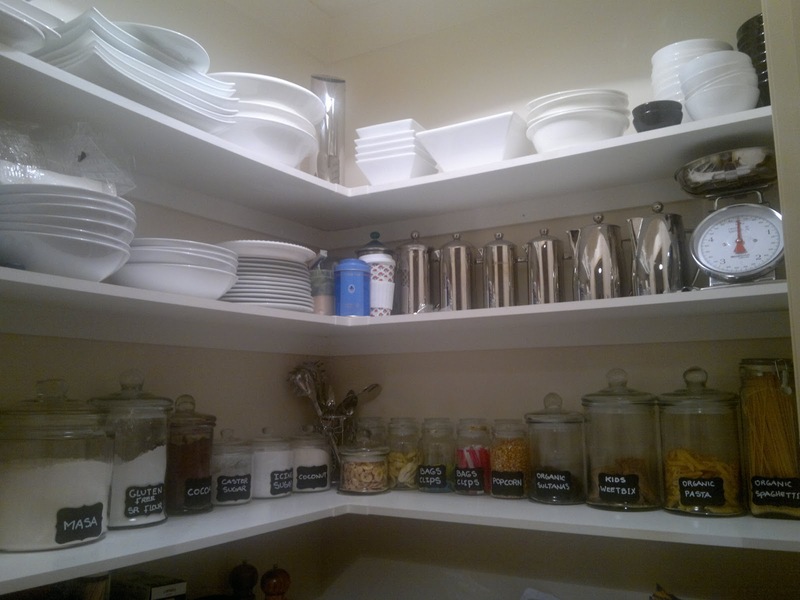 Our Kitchen Pantry - it's January the first month of the year so what better opportunity to de-clutter and get organised for the year ahead. 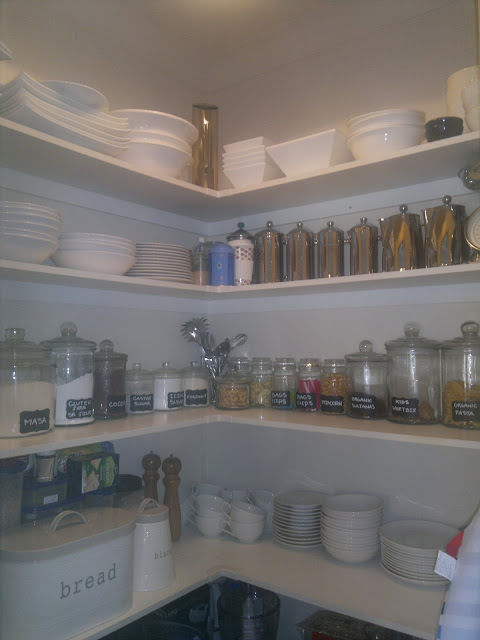 I love cooking, baking and of late experimenting with homemade jams, preserves and all things yummy. I found these labels at a handmade market they are so handy and I really love the vintage look of them with the chalkboard writing.